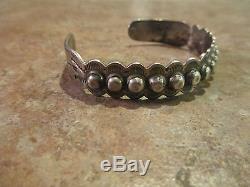 Inside Measures 5 3/8" (2 3/8" Across Inside) Plus a gap of 1 3/16" (adjustable) 1/2" Width QUITE OLD Fred Harvey Era Sterling Small Dome Row Bracelet. 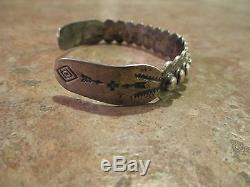 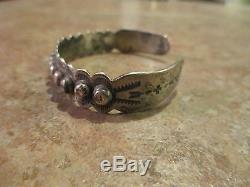 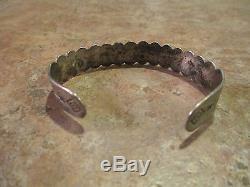 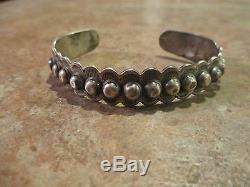 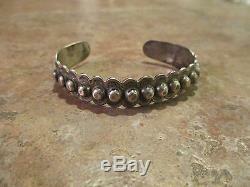 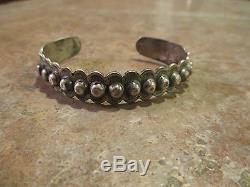 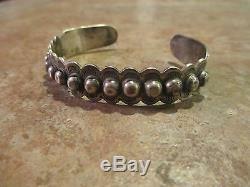 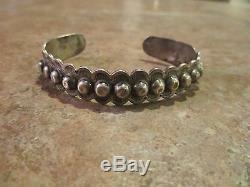 1930's to 1940's Good Solid Piece..... 18.6 Grams Authentic Navajo Your Satisfaction is Assured. 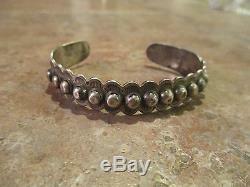 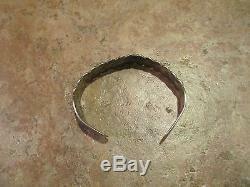 The item "QUITE OLD Fred Harvey Era NAVAJO Sterling Silver Small DOME Row Cuff Bracelet" is in sale since Tuesday, June 13, 2017.